SlyOwl’s latest creation combines two of my favorite themes into one sweet little ship. Crammed with all the fun details we have come to expect from this builder, this pirate ship sets off on its quest to plunder the Steampunk world! 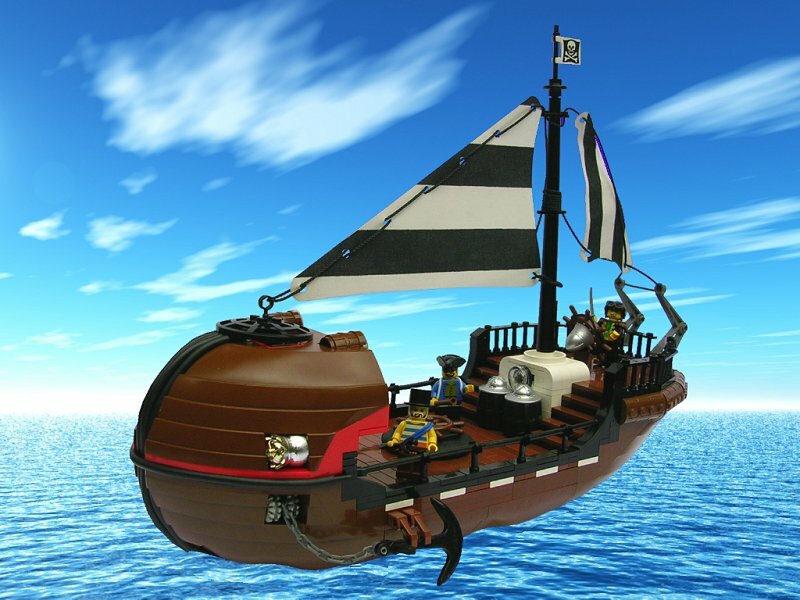 I can commend the maker for his overall creativity with this build; however from the various pics of it on Flickr I get the distinct impression the helmsman’s view is severely, perhaps even completely, blocked by that doubled prow. Maybe also add some extra height to the aftship as a whole, or to the helm section specifically, if somehow possible?